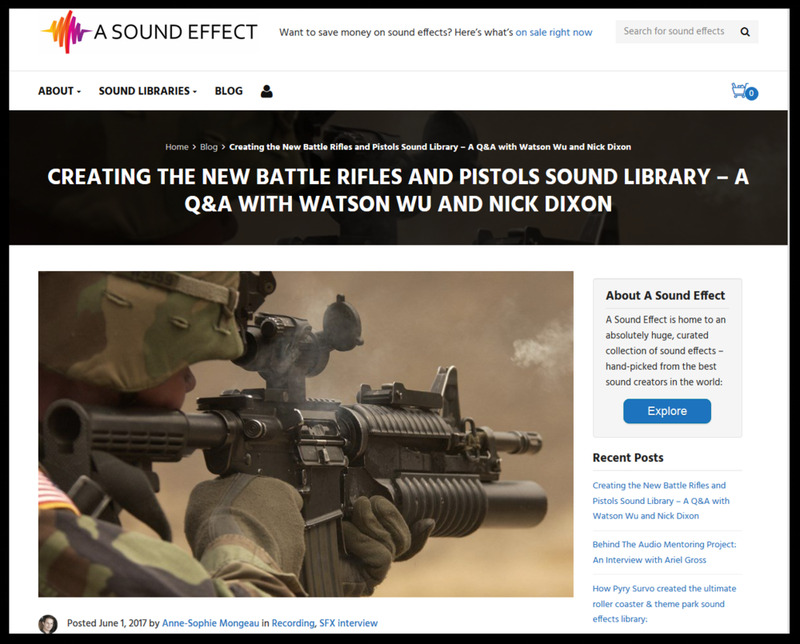 ASoundEffect.com just released this interview about a new weapons sound effects library recorded and designed by me and sound designer Nick Dixon. Read it HERE. Special thanks to Anne-Sophie Mongeau & Asbjoern Andersen. BATTLE RIFLES & PISTOLS IS A NEW WEAPONS SOUND FX LIBRARY, MADE FOR SOUND DESIGNERS. CLICK HERE TO LISTEN TO THE BRIEF COLLAGE AUDIO DEMO.